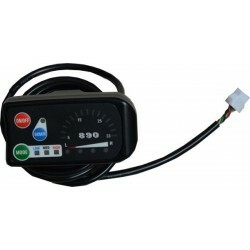 S-LED890 E-Bike LED Meter for S Series Controllers. The function is same as S-LCD1 except setting by itself. So the S-LED890 can not be setup by itself. You need to copy parameters from S-LCD1 or from another S-LED890. 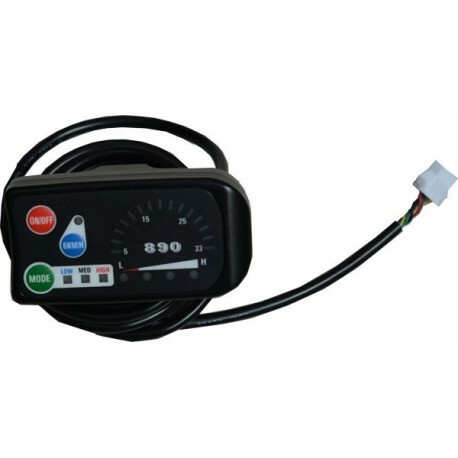 S-LED890 E-Bike LED Meter for S Series Controllers. It only fits S series controllers. It is not suitable for other controllers. It can display speed. The parameter in this kind of LED meter can be copied from the S-LCD1 display. So you can buy one S-LCD1 display for setting many LED meters parameter. The function is same as S-LCD1 except setting by itself. So the S-LED890 cannot be set up by itself. You need to copy parameters from S-LCD1 or from another S-LED890. It is a smart LED panel. You can not test it by only voltage. You need to install it on your E-Bike and pedal for 3-5 seconds. Then the LED panel will show battery level normally.